It is a startling number. According to the CDC, 1 out of 5 Americans has at least one disability. The fact is, we’re all going to be disabled one way or another. Time takes care of that. Things happen in life. But how we cope with that disability and how we deal with other people with disabilities – well, that’s a choice. A learned response. We need to change attitudes, remove barriers, and create a truly inclusive community. A Place for All: Faith and Community for Persons with Disabilities explored how faiths have moved toward inclusivity as they help ease the social isolation that often plagues the one out of five Americans with disabilities. This program highlighted the stories of people with disabilities who had been welcomed as valued members of their religious communities, where they had celebrated baptisms, Bar/Bat Mitzvahs, and annual events, as well as the stories of those who had found strength in their faith allowing them and others to see past their disabilities. Aired 2013-14. 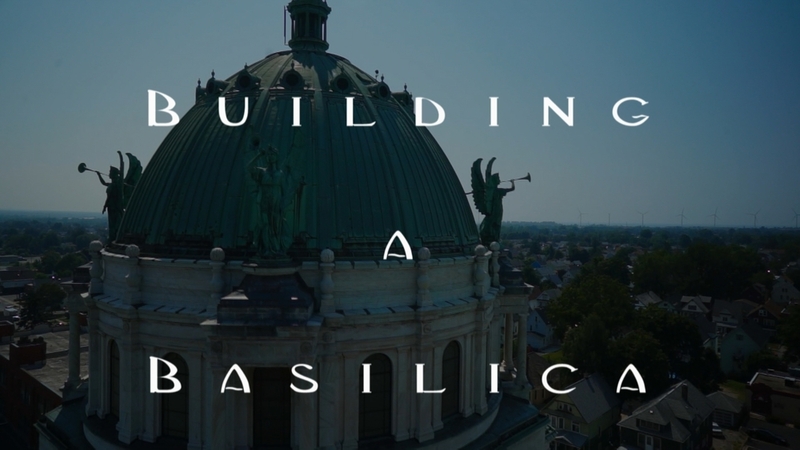 Building a Basilica “Among the churches of America, the Sanctuary of Our Lady of Victory is, for many reasons, to be counted as one of the greatest. 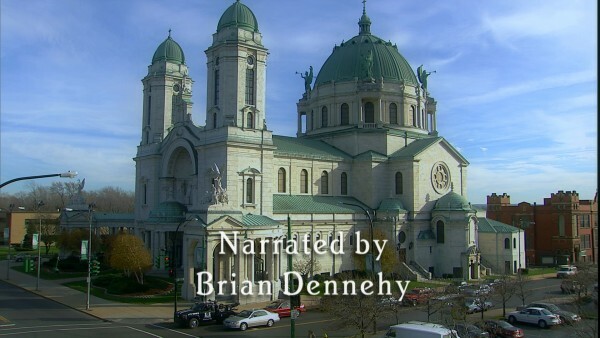 This sanctuary is truly a masterpiece, in the nobility of its lines, in the splendor of its marbles, in its massive solidarity, and in its artistic finish..."
“Building a Basilica” produced by Daybreak TV Productions, Catholic Diocese of Buffalo, tells the story of this national shrine through vast archive materials including drawings and hundreds of letters from Fr. Baker, Emile Ulhrich, builders, artists and contractors. 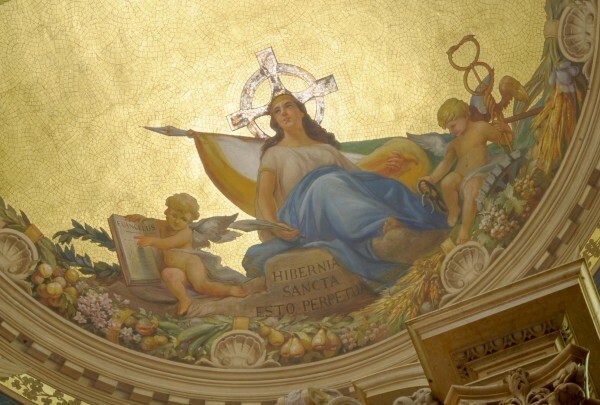 “Women & Spirit: Catholic Sisters in America,” is a one-hour documentary narrated by noted NPR and ABC news analyst Cokie Roberts, and featuring interviews with historians, journalists and sister. This film brings to life the inspiring, virtually untold, 300-year story of Catholic women religious who have greatly and at times sacrificially contributed to the American landscape. It examines the courage (mostly quiet but at times outspoken), entrepreneurial spirit, and indomitable faith exercised by these women during many dramatic moments in U.S. history. The film is an outgrowth of the highly successful touring exhibit (2009 - 2012) of the same title, sponsored by the Leadership Conference of Women Religious (LCWR), the film’s executive producer. The documentary has been selected for NBC’s “Horizons of the Spirit” series in partnership with the Interfaith Broadcasting Commission. Local viewers’ calls, emails or letters to their local stations increase the possibilities of a station airing this program. Contact Phone: 800-494-6007. Purchasing Notes: The cost is $19.98 plus $3.95 shipping and handling per half-hour video.